This year, Colorado Springs set a rainfall record for the month of July. Consequently, two of our National Moth Week events were rained out. We decided it was in the interest of public safety (electrical storms) to cancel the July 26 event at Cheyenne Mountain State Park, and the July 29 event in Rock Creek Canyon at the May Museum of Natural History. However, thanks to a misunderstanding with park staff, we had an “extra” event scheduled at Cheyenne Mountain State Park on Tuesday, July 25. Good thing we honored that one, as the turnout of both humans and insects was very good. Once again, the weather was “iffy,” and perhaps a little cooler than average for this time of year, but we set up two light stations by the restroom building at the Limekiln trailhead below the visitor center in Cheyenne Mountain State Park. We drew several members from the Mile High Bug Club, plus one person who drove all the way down from north of Denver just for this event. The park had been advertising the July 26 date, so ironically we had no campers at this one. Intermittent rain forced us to put our lights and sheets under the picnic shelter and the overhang on the east side of the restroom building, but those locations paid off. We quickly drew some smaller moths, and a few other insects. 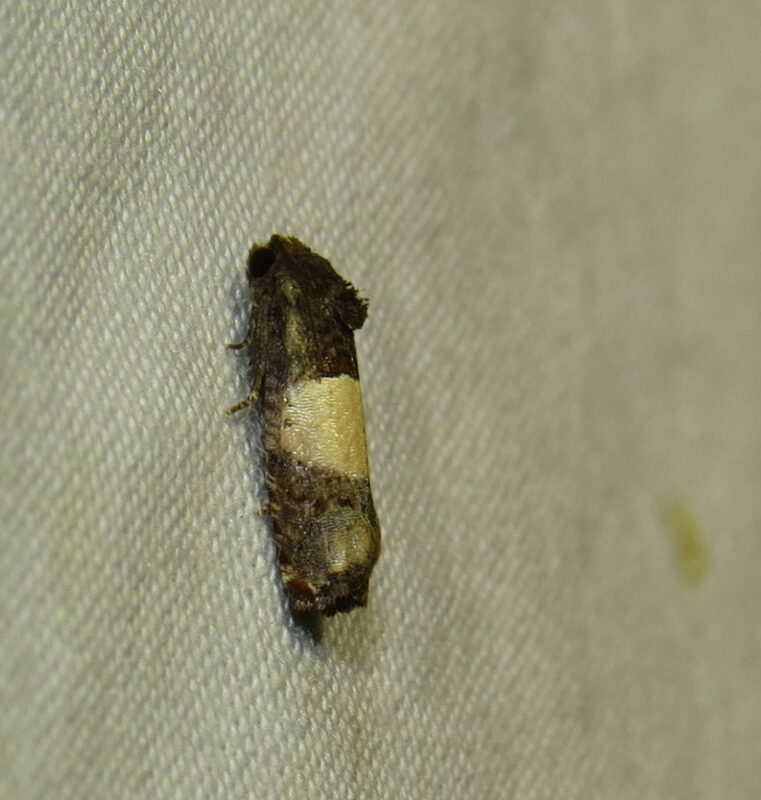 One had to do a double take at some of the moths, like the leafroller Epiblema triparitana, masquerading as a piece of bird poop. 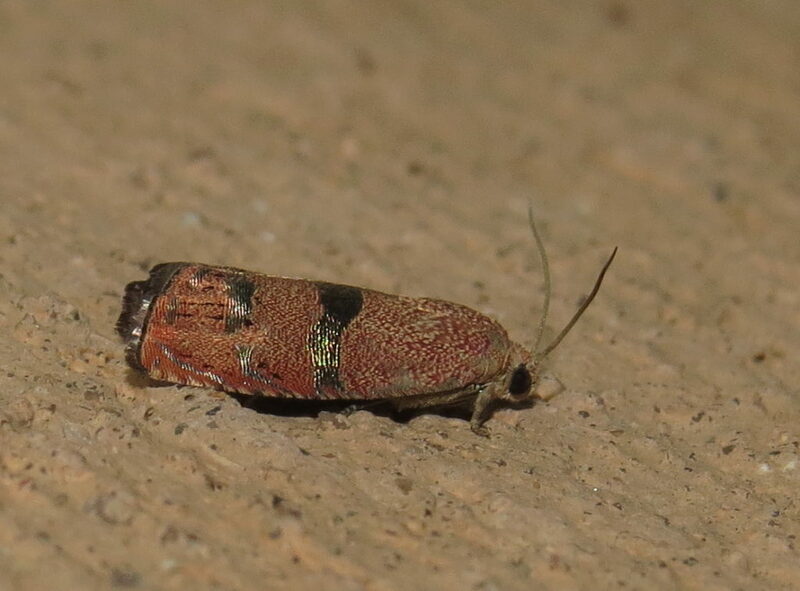 Meanwhile, the little Filbertworm moth, Cydia latiferreana, appeared to be drizzled in molten metal. 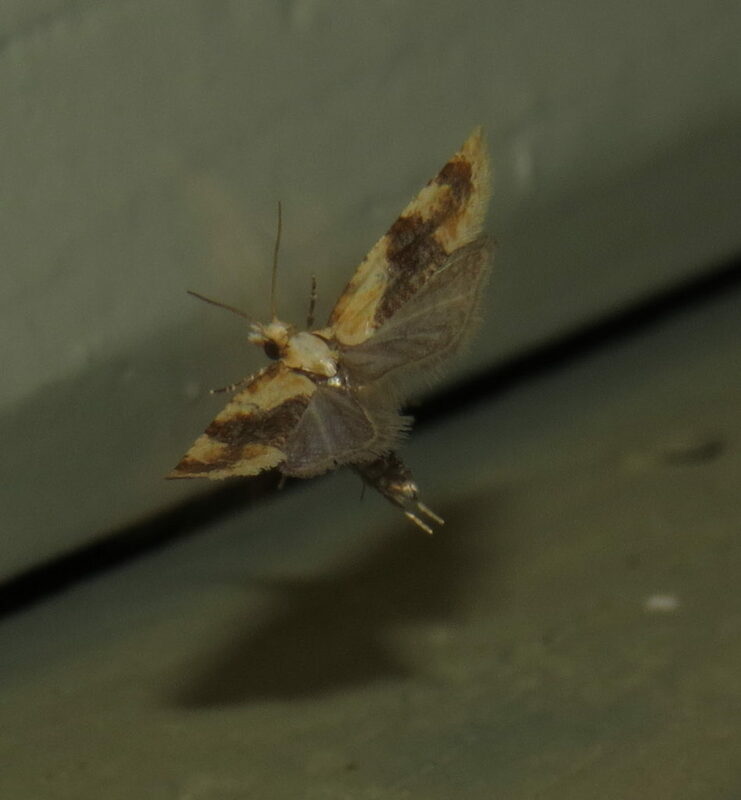 The eutelid moth Paectes abrostolella tends to pose distinctively with its abdomen turned up in the air. 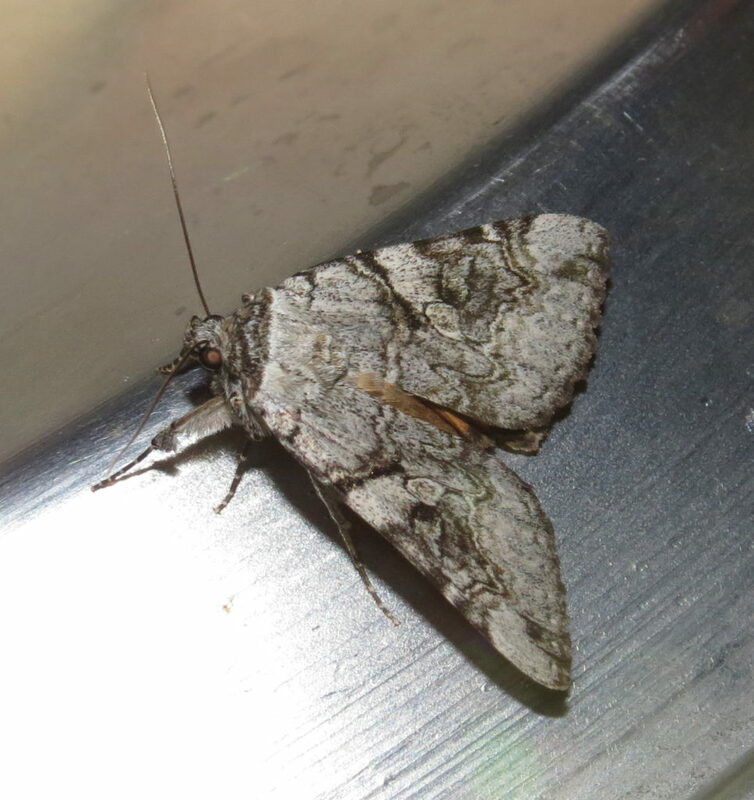 Once the rain stopped, it started precipitating even more insects, including at least two species of underwing moths, genus Catocala. These giants often stay on the periphery of light stations and may go unnoticed, but the three that came this night made a real entrance, flying erratically around the area before settling down. 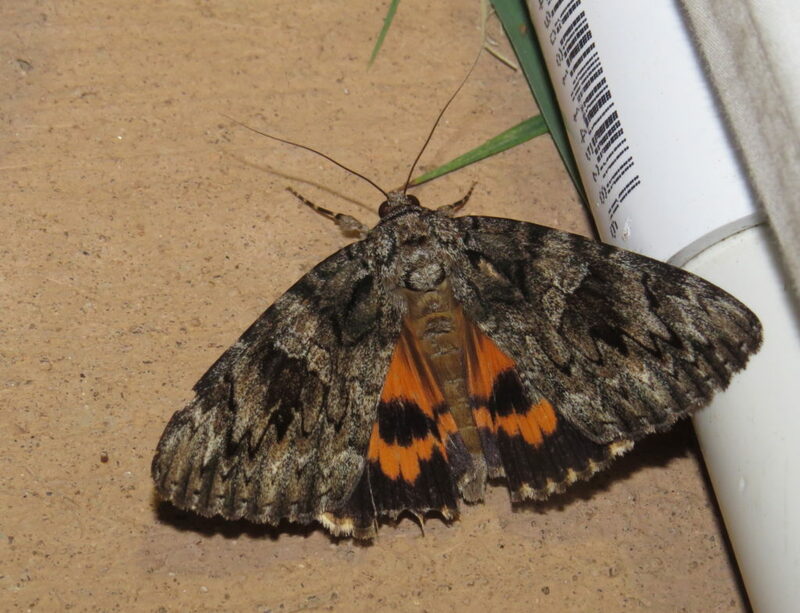 Catocala verilliana was the smaller of the two and C. aholibah likely the larger species. 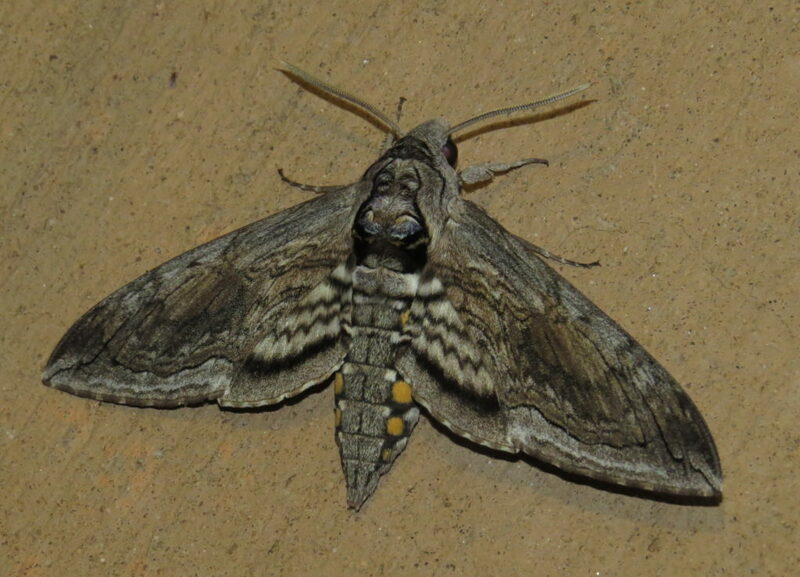 Another rather large and erratic-flying moth that came to our lights was the Five-spotted Sphinx moth, Manduca quinquemaculatus. This is a species that also visited us during our New Moon Moth Night at the park in June. 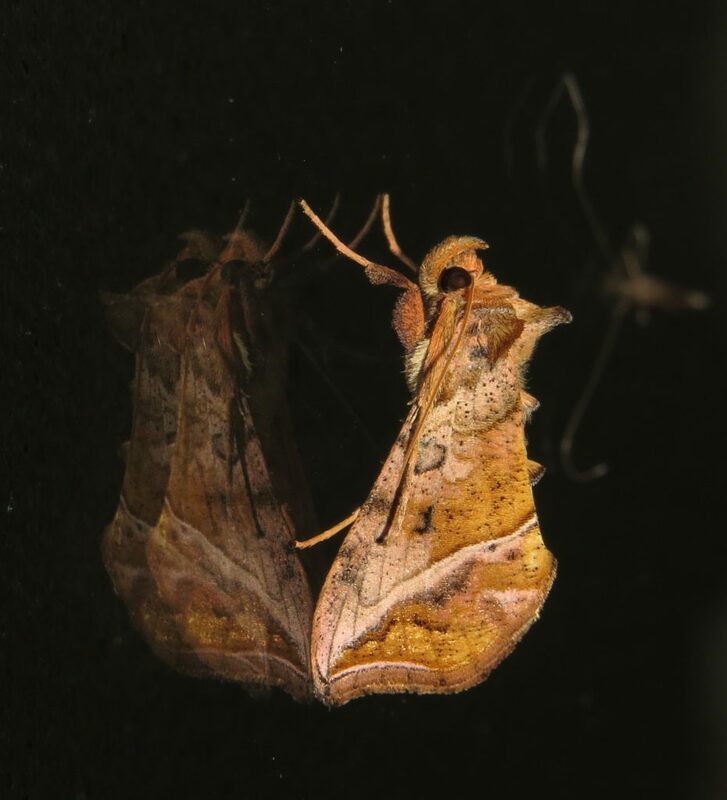 Most moths are maddeningly difficult to identify because of individual variation within the species and overlap in appearance with other species. We may be lucky to pin down such specimens to a genus. 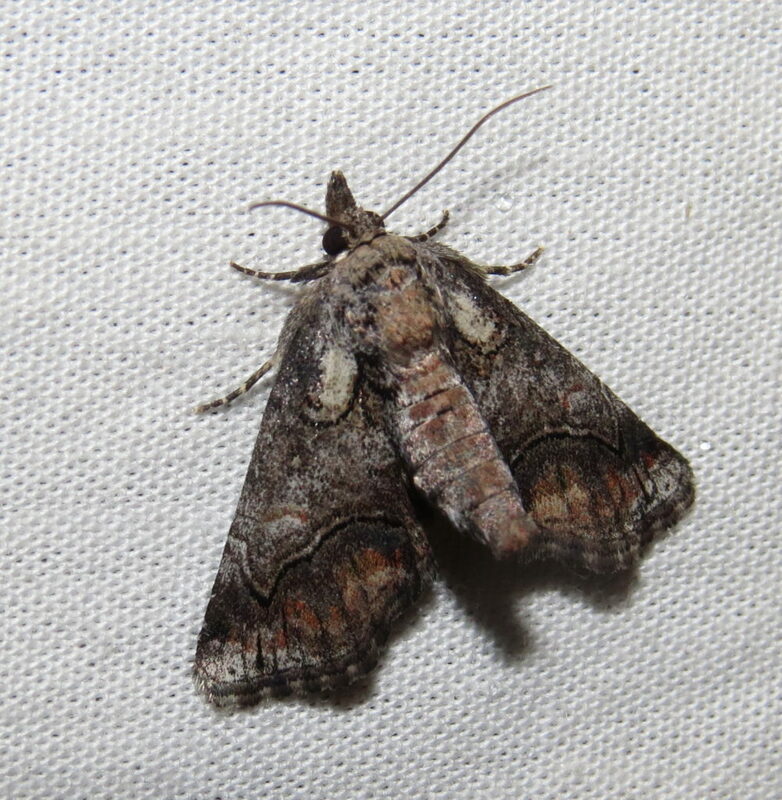 Cutworm moths in the genus Apamea, family Noctuidae, are a prime example. We think this one is a Yellowheaded Cutowrm, Apamea amputatrix, but without collecting the specimen, we can’t be positive. 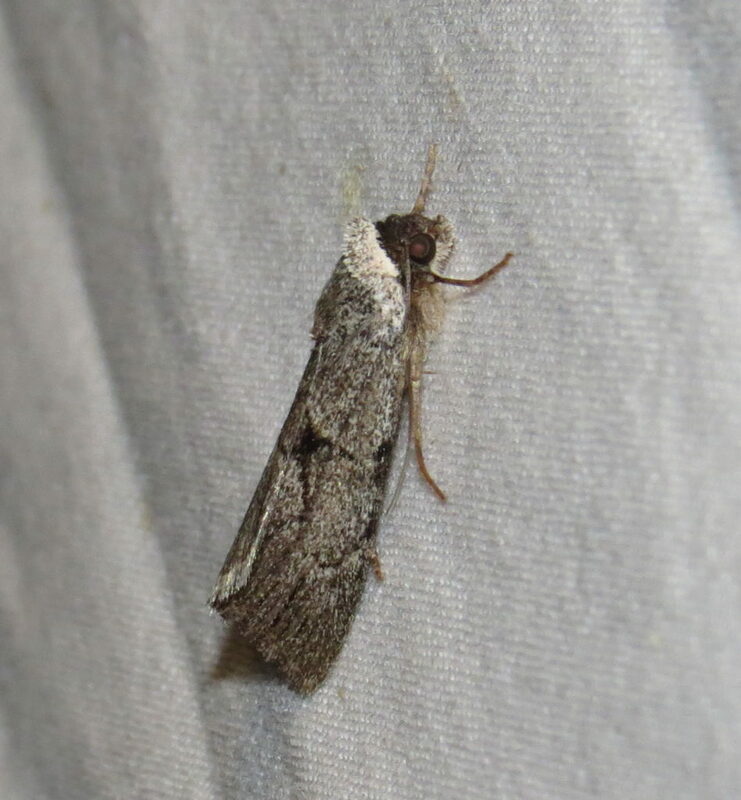 Our resident moth guru, Samuel Johnson, was intrigued by this other moth in the genus Sympistis, which could potentially be a county record for Sympistis hapi, which has never before been seen in El Paso County. 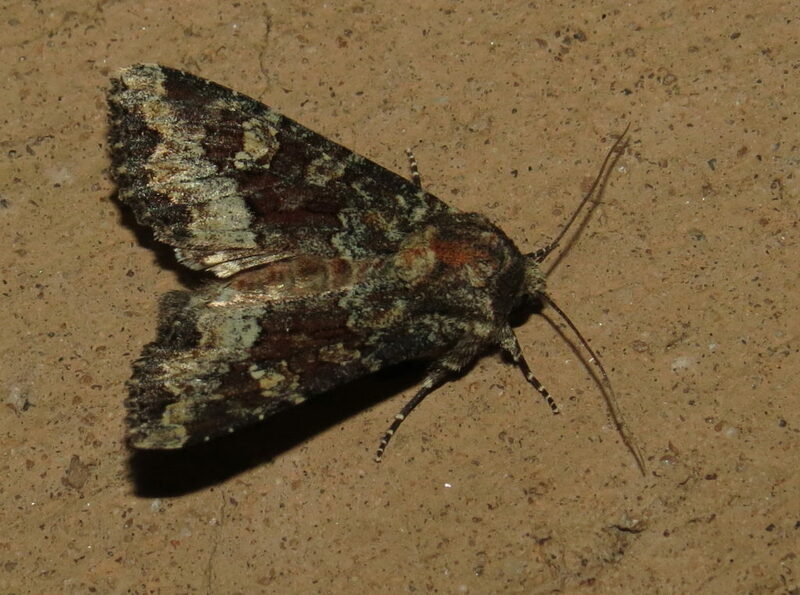 We also had non-moths flying in. 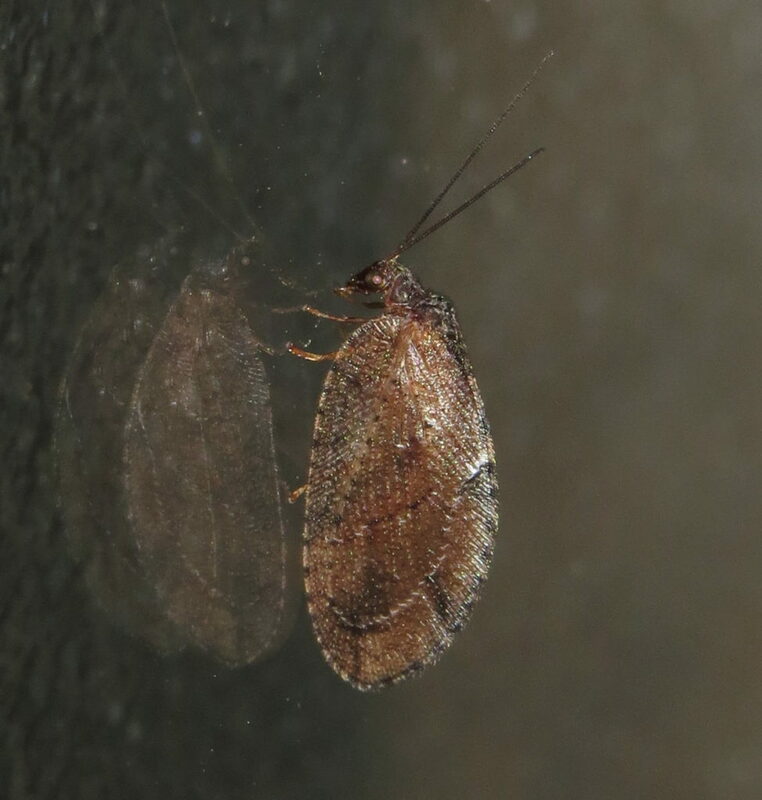 These even included water scavenger beetles (family Hydrophilidae), weevils (family Curculionidae), brown lacewings (family Hemerobiidae), and the usual lurking predators like the Masked Hunter, Reduvius personatus, a type of assassin bug. The “after party” was once again rewarding as well, turning up some interesting organisms at the lights around the visitor center and the adjoining parking lot. 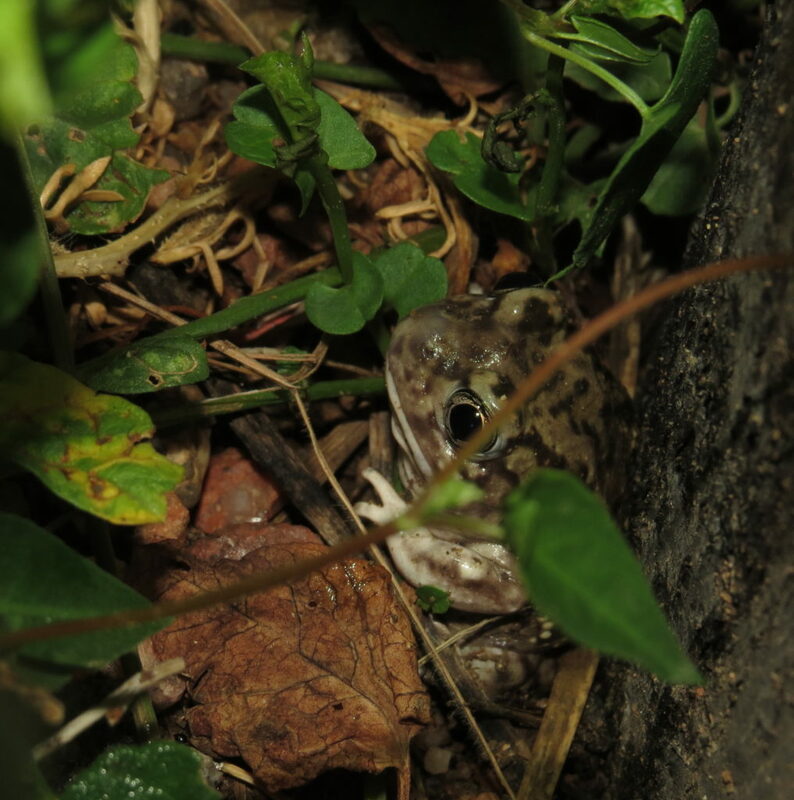 Perhaps the biggest surprise was a Plains Spadefoot, a type of toad, strategically huddled beneath a lamp post to catch falling insect prey. 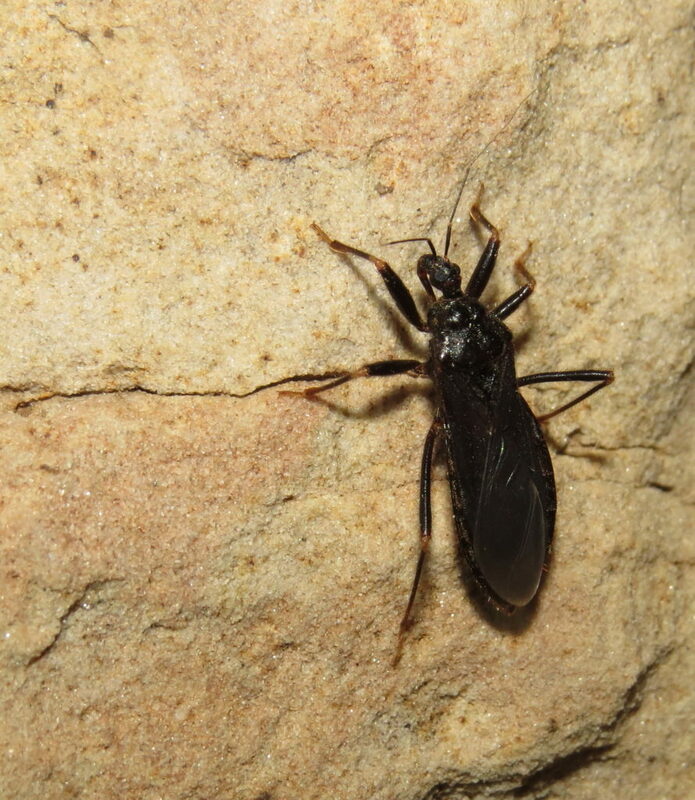 On that post was a short-horned walkingstick, Parabacillus sp. 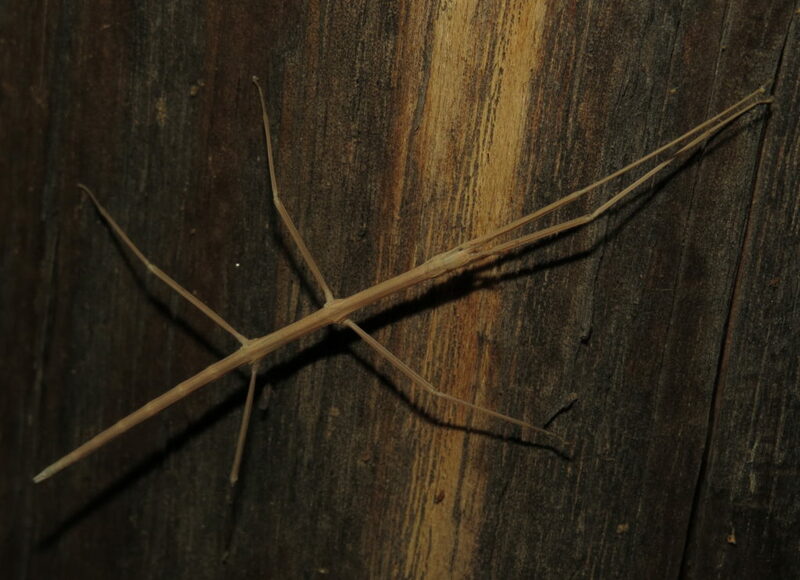 Walkingsticks are not uncommon, but are seldom seen because they are so cryptic. We made our way towards the exits a little after midnight, much like this Banded Sunflower Moth, Cochylis hospes. Here’s hoping you will come out to our next adventure. Just look for our calendar of upcoming events, here or on Facebook. Our e-newsletters go out once a quarter. To be included, sign up using the form below. 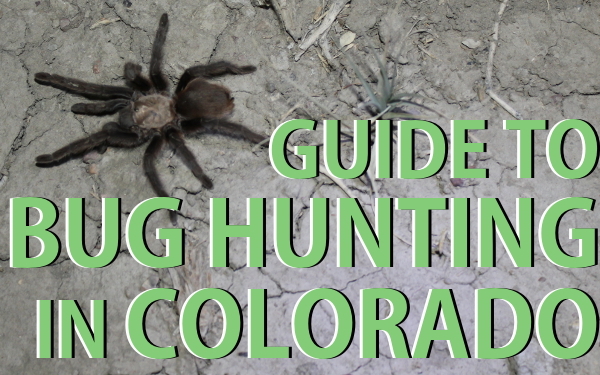 Copyright © 2008-2019 Mile High Bug Club • All rights reserved. 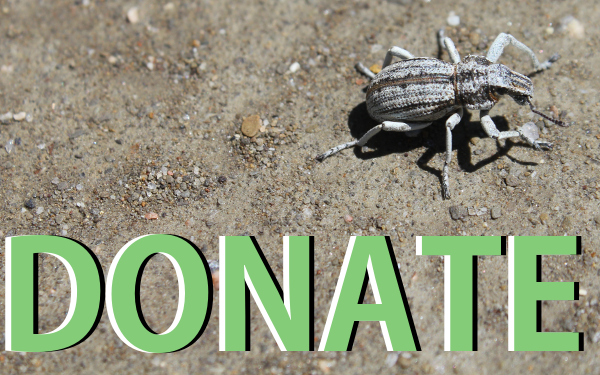 For feedback regarding this site, contact the webmaster. 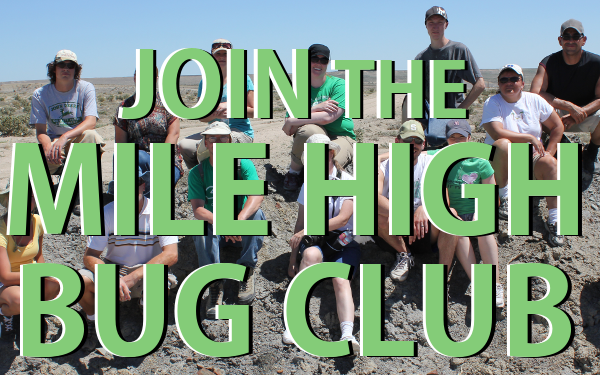 The Mile High Bug Club is a 501(c)(3).